Houlihan’s is a restaurant and bar chain that prides itself on being an enjoyable and social place for customers to eat, drink and hang out in, providing great food to a great soundtrack. To find out how to apply for Houlihan’s online follow the link below to submit a Houlihan’s application. The very first restaurant was opened in 1972 and was named after the clothing store that originally stood on that spot. The co-founders Paul Robinson and Joe Gilbert were both experienced in the food service industry by this stage but wanted to open a new casual restaurant for people to relax in. There are now over 80 different locations in 18 different states across the USA. It has a varied menu including burgers, soups, enchiladas, meatloaf, seafood and steaks. They also have many vegetarian and gluten free options. But they’re also known for happy hour at the bar, even winning awards with their wide selection of cocktails. Music is a huge part of the Houlihan’s atmosphere. The playlist in each and every restaurant has a huge amount of thought and time put into crafting it to create the exact right ambience. The company is also a big supporter of VH1’s Save the Music Foundation that backs music programs in schools. Houlihan’s jobs include many opportunities based in their restaurants. Typical positions are Bartender, Server, Host/Hostess, Line Cook, Dishwasher and Busser. They are also accepting applications for Assistant and General Managers for the restaurants. For these roles you will need experience in the food service industry and also in leadership roles. If you’re looking for a career working in the corporate side of the business there are fewer advertised opportunities but they do come up from time to time and you can email the Director of Recruiting for information on the current vacancies. But the typical roles will be across the departments of Administration, Finance, HR and Marketing amongst others. How old do you have to be to work at Houlihan’s? You must be at least 18 years old to apply for jobs at Houlihan’s. Bartending and managerial openings are only available to applicants aged 21 or over. The opening hours of the restaurant are 6am to 11pm daily. There are many benefits that come with Houlihan’s careers. For those in hourly positions you will have the opportunity to make good money in tips in addition to your pay. There are also many possibilities for advancement. All employees will also get discounts on food. Some employees will also be entitled to insurance programs and a 401(k) plan. Server – The responsibilities of a server include a variety of tasks on a daily basis like processing customer orders and recommending menu items, delivering the food to customers and general cleaning of the restaurant. You will assist the managers and team members in other tasks as assigned. The average salary of a server is between $2-5/hour plus tips. Host/Hostess – In this position excellent customer service is key. You will greet guests when they come in and seat them or organize the waiting list if the restaurant is busy. You will need a good telephone manner. You will also need good knowledge about the restaurant and its menu. The typical pay is between $8-10 an hour. Bartenders – Bartenders need to be 21 years old or over as you will be serving alcoholic drinks. In addition to taking customers’ drinks orders you will also be responsible for maintaining the bar including cleaning, restocking items and other tasks as they come up. The hourly pay starts at $7/hour plus tips. General Manager – Managers are responsible for overseeing all aspects of the restaurant from staff management, training and scheduling to ensuring that all customers enter and leave happy. Managers need to keep a close eye on the financial side of the business as well as making sure all required standards are met. Salaries range from $40-56k/year. After you submit a Houlihan’s application it’s a good idea to prepare for the interview by going over the answers to some common questions. Why do you want to work here? Pick a few things about the environment, the service or the company itself that convinced you to apply in the first place. It shows that you’re well prepared. What makes you suited to a position here? Make sure you know what you’re applying for by checking the job description carefully and reading up on the company before you go. That way you can pick the skills you have that match exactly with what they’re looking for. What’s your biggest achievement outside of work? This is a chance to show your personality and your interests, but still try to pick something that shows positive attributes that would be useful in a work situation. How would you handle a difficult customer? When you answer, make sure to get across that you can cope with potentially tense situations in a professional and calm manner. It says a lot about your customer service skills if you can be cool in a crisis. What is your biggest weakness? This is a fairly common question so be ready for it. Identify something about yourself that needs improvement and detail how you’re going about doing that. 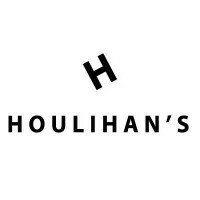 If you search for Houlihan’s jobs online you can find the careers page of their website. You’ll see that you can apply online for hourly positions by selecting the role you want and filling in their online application form. Alternatively you can pick up a free application at your local restaurant. You can’t download a printable application for Houlihan’s. For management and corporate job opportunities you will need to make a direct application by sending your resume either via email, mail or fax. It’s a good idea as well to attach a covering letter giving more detail about your experience, including specific examples, and what kind of career you’re looking for. After you’ve submitted your Houlihan’s job application online you may be invited for up to two interviews before you’re made an offer. For hourly positions interviews will most likely focus on your experience and your availability. For managerial and corporate jobs, interviews will be more in-depth to see if you’re the right candidate. Make sure you turn up to the interview smartly dressed, even if you’re looking for entry-level employment. It’s important to make a good first impression, as they will be picturing you greeting and serving customers. Keep a friendly and positive attitude when you talk to the hiring manager and show your gratitude for the opportunity. Sodexo: Visit the job application for Sodexo to apply today. Chili’s: For employment at Chili’s visit the application page. Sysco: Checkout the application page for work at Sysco. Sbarro: For employment at Sbarro visit the application page. Cash And Carry: See our resource page for more information on Cash And Carry careers.